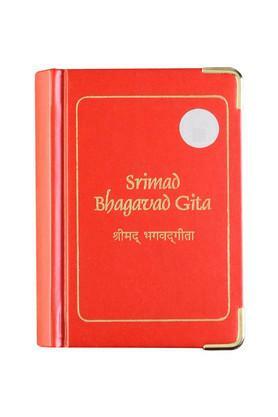 'Srimad Bhagavad Gita'is a holy manuscript of Hindus comprising of 700 verses. 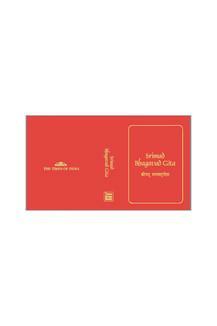 It is a constituent of the divine Hindu epic, Mahabharta and given in the form of a narrative. Bhagvad Gita is the essence of Lord Krishna's replies and explanations that followed questions of Arjuna, the Pandu putra (son) before the epic battle. The conversation happening between them depicts the ethical perplexities of todays'times that are faced by the human beings. Arjuna is indecisive about fighting a war against his own blood and extended family. Lord Krishna senses his indecisiveness and hesitation and accordingly counsels him to be firm in his decision of fighting for justice. Arjuna is reminded by Krishna that he belongs to the Kshatriya clan, who are the warriors. It is his principal responsibility to fight a war when required. Gradually, Lord enlightens him upon various topics regarding how to keep one's values and outlook on several situations that are faced by the mortals in order to find inner peace and finally, the moksha. This thoughtful scripture comprises of 18 chapters. Every single chapter in the narrative is named as per a particular yoga for the reason that these topics enlighten the body, mind as well as the soul of the reader. The chapters under the Bhagavad Gita are as given: I. Arjuna-Visada Yoga II. Sankhya Yoga III. Karma Yoga IV. Gyaana-Karma-Sanyasa Yoga V. Karma-Sanyasa Yoga VI. Dhyan Yoga VII. Gyaana-Vigyaana Yoga VIII. Aksara-Brahma Yoga IX. Raja-Vidya-Raja-Guhya Yoga X. Vibhuti-Vistara Yoga XI. Visvarupa-Darsana Yoga XII. Bhakti-Yoga XIII. Ksetra-Ksetrjna Vibhaga Yoga XIV. Gunatraya-Vibhaga Yoga XV. Purusottamma Yoga XVI. 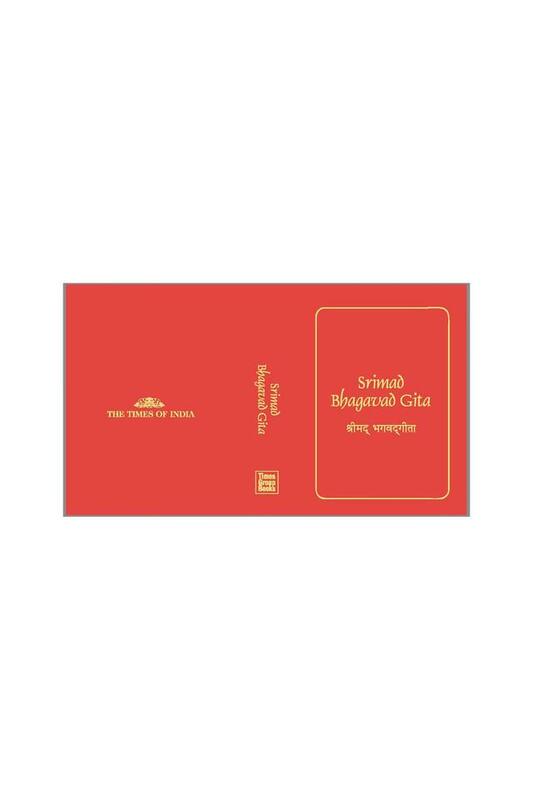 Daivasura-Sampad-Vibhaga Yoga XVII. Sraddhatraya-Vibhaga Yoga XVIII. Moksha-Sanyasa Yoga In the book, the battlefield of Kurukshetra is depicted as the struggles and hardships that we as human beings go through in life. The dialogues between Lord Krishna and Arjuna are in a sense, preachings that are beneficial to the young and old alike. The Holy Scripture is available online at Amazon India. About the author: Times Group Publishers have published this script. This publication group belongs to The Times of India. Its headquarters are located in New Delhi. The publishing division is known for their own unique content in the form of books and guides. The range of topics covered is quite wide in terms of entertaining and providing knowledge to its readers. Some of the most popular titles of the publishing division include the likes of The Speaking Tree, Times Food & Nightlife Guides, Calm Sutra, Around The World In Eighty Plates, Those Nights and Other Short Stories, Experience India, etc.